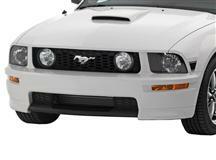 I am in need of a new bumper for my 06 gt and I was just wondering what's the best way to have this bumper painted. Or is it already? It is not already painted. I took mine to the body shop and had them prep and paint mine for me. I would look for a reputable body shop in your area and let them paint it for you.